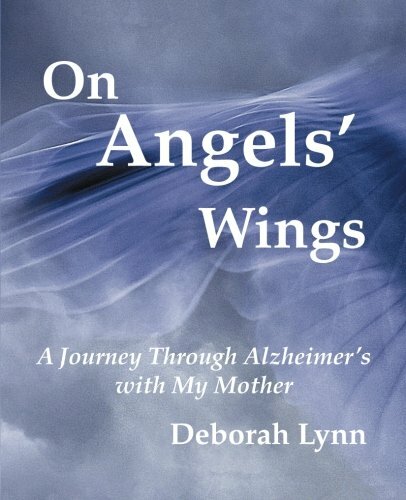 “On Angels’ Wings” by Deborah Lynn is a very emotional read that tells the story of caring for her mother during her Alzheimer's disease. Having watched my mother care for my father while his memory faded, this narrative touched every emotion I have felt. Many families are impacted by this daily, and often we have no idea where to go or how to help. Lynn was very straightforward about the lack of proper diagnosis, in home care, and facilities that are not equipped to handle Alzheimer's patients. Lynn provides inspiration, and resources to help caregivers who are not sure what to do. She is passionate and honest in her writing, which includes poetry and pictures to depict her feelings and the loss of the woman who was once active, intelligent, and loving. I liked the way Lynn described how her family members were at odds about the fading of memory, care, and possible placement in a nursing home. Like her mother's husband, my mom cared for my dad for years without getting respite care or in-home care, and I could see the anger and loss of her activities waiting to explode. Often families are in denial about any changes in their loved one, blaming it on old age. Having had this discussion with my kids about my mother and her "plateau phone calls" and lack of activity, I finally took Lynn's advice and called her doctor about our concerns. Like many older generation family doctors he stated, "Your mom said she is fine." The author's narration on finding the right nursing homes with specific care for dementia patients had me shaking my head. Often caregivers in these facilities are not properly trained, underpaid, and not supervised. Having been an advocate for a group called “Concerned Citizens for the Elderly,” part of the task is to tour and look at the care the patients receive. The author talks about this in her numerous placements of her mother. In the past, many elderly family members didn’t have available to them, long-term care insurance which covers the cost of a facility. “On Angels’ Wings” by Deborah Lynn is a book all families should read and keep using as a resource, support source, and guide. The poems and pictures are beautiful and very descriptive of what one feels about the loss of a parent.